Snowflakes gently pirouetted outside my window on that Saturday as I prepared to meet my friends Victor Keen and Jeanne Ruddy for brunch and a lecture at the Museum of Modern Art in New York. We were going to hear about the legendary choreographer Jack Cole. My wife, Marlena was one of his principal dancers on Broadway and Jeanne Ruddy was one of Martha Graham’s principal dancers. We did not want to miss it. It soon became apparent that travel in Manhattan was impossible as the city shut down all vehicles except emergency vehicles and that is when the reports began. Texts and emails and phone calls from around the world came in to ask if we were safe. Our Information Age had images of Cape May County flooding that were shown in Germany, France and the United Kingdom. Actors and directors and designers and patrons all expressed their concern. We were on the Upper West Side drinking champagne – we spent Hurricane Sandy in a walk-in closet with our cat and champagne and a number of flashlights, lanterns and candles. We told our dear friends that all was well. Storms and champagne was our logo and everyone was relieved. But one text from my daughter in California showed a photo of the C-View Inn with what looked like a lake in front of it. She has contacts from across the country that gets her news fast: “your dad’s scene shop is definitely flooded from the front and the back”. I called our Administrative Director and some board members and they investigated once the storm had passed. Leigh Patton and Lee Bellarmino got out the shop- vac and vacuumed out over 100 gallons of water. Some flats were sitting in a few inches of water and they were moved. All in all, the damage was minimal. 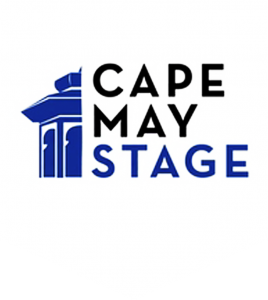 I feel so blessed to have Leigh and Lee on my team – that is what makes Cape May Stage so special. 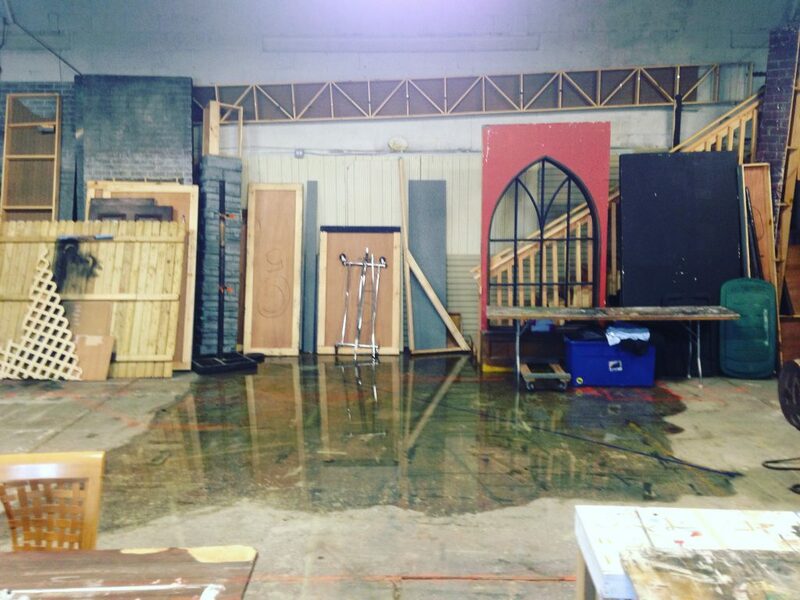 Even blizzards don’t stop the work that continues at Cape May Stage. I met with one of my set designers at the West Bank Café on 42nd Street soon after the storm had blanketed the city and created a silence that is rare in Manhattan. She had a model of the set that she carried over snow drifts as we made our way to the subway after the meeting. We were excited to collaborate on such an exciting project. I am meeting Chris Dolman who will return to direct “Barefoot in the Park” and a new set designer with major credits who comes out of Yale Drama School. 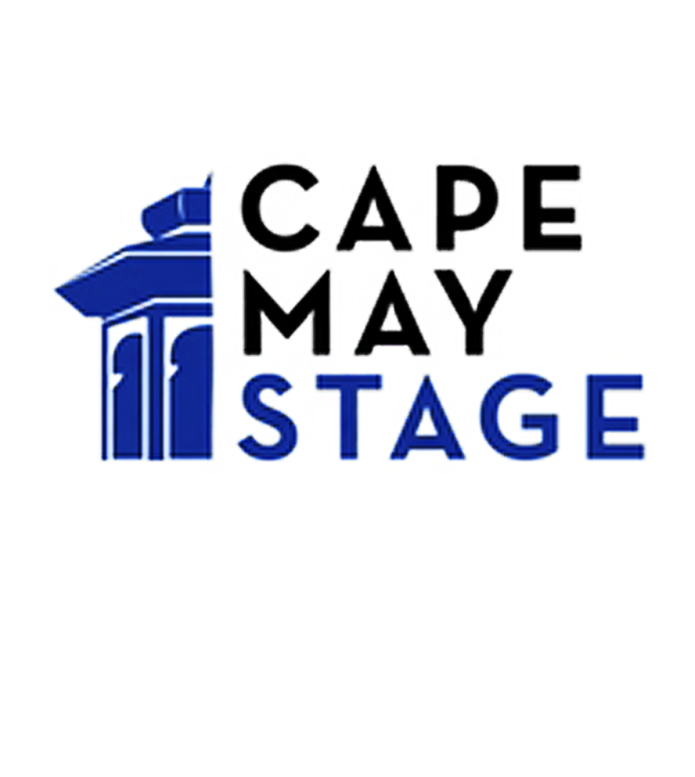 I am officially on vacation in January and try to think of things other than Cape May Stage. I think I am mostly successful seeing so many friends in New York – every meal is booked with a friend. The snow is melting now and the weather is mild and museums beckon. January is a time to re-charge and get inspired. My thoughts and prayers go out to our neighbors who suffered more damage. Thanks to all those who were there to help them. I’ll be back in February getting everything ready for our 2016 season of great theatre.